The Lone Icicle | Just Shooting Memories! 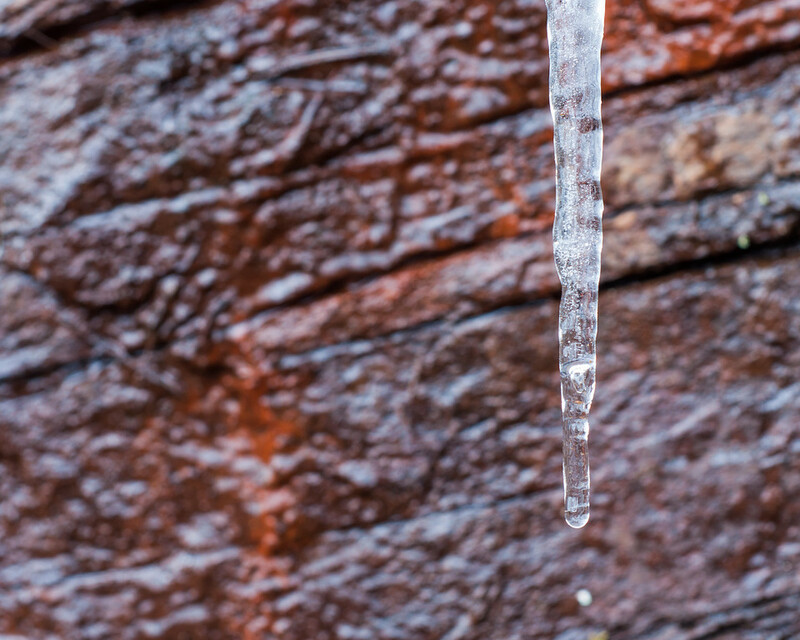 I was out taking photos of icicles when it was really cold this winter. No, it was not the same time as I shoot The Frozen Waterfall, but it was still real cold. I was making my way down from some cliffs up the side of a hill when I noticed this one random icicle. There were no others near it and it did not appear there was really enough water to support this one.